There’s a reason why, in the world of ecommerce, a brand’s best customers are referred to as VIPs. Those who invest a lot of time and money in your brand are very important people indeed, and are key to the overall success of your business. Why? Just take a look at the perennial Pareto Principle, also known as the 80/20 rule. Named after Italian economist Vilfredo Pareto, this principle states that around 80% of the output from any given situation is determined by just 20% of the input. Pareto reached his conclusion after observing that 20% of the peapods in his garden held 80% of the overall peas. Translating this into ecommerce talk, 80% of your revenue comes from only 20% of your customers. While the principle may not be 100% accurate for every brand (the maths will vary according to your business model), the sentiment - that treating your best customers well and working hard to retain them - still rings true. But how do you go about actually identifying your best customers? There are a number of different approaches you can take, from dabbling in RFM (recency, frequency, monetary value) analysis to using advanced behavioural clustering. This blog post will take a look at one specific approach, and will be the first in this blog’s VIP customer series (we’ll be looking at specific strategies for engaging your VIP customers next). In order to accurately identify your best customers, it’s vital to have a full picture of all their interactions with your store - one that takes into account both on and offline purchases (something which is certainly a challenge for retailers - read our blog post about integrating online and offline for more on this), but also other data sources, like marketing engagement and browsing behaviour. Incorporating returns data is also key to identifying your best customers, as the true amount they’ve spent with you (their customer lifetime value) is an important factor in distinguishing whether they’re a VIP or not - and you don’t want to be rolling out the special treatment to serial returners. Bringing all of this data together - cleaning it, deduplicating it, identifying the different devices someone shops on - forms the basis of achieving a single customer view (sometimes called a ‘total’ or ‘360’ customer view). With all of your customer data in one place, it’s nearly time to perform the analysis needed to reveal the criteria that determines whether a customer is considered a VIP or not. 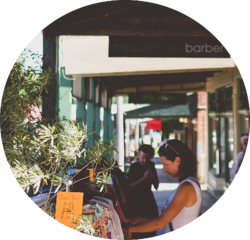 With outliers excluded, the next step is to start ranking your customers. The simplest way to do this is to rank them according to their customer lifetime value (CLV), which is the total amount they have spent with your store (we’ll discuss some extra criteria that you may wish to rank them by in the next step). Now it’s time to decide who falls under the VIP category. At Ometria, we tend to start with a benchmark of your top 5% of customers for the VIP category. 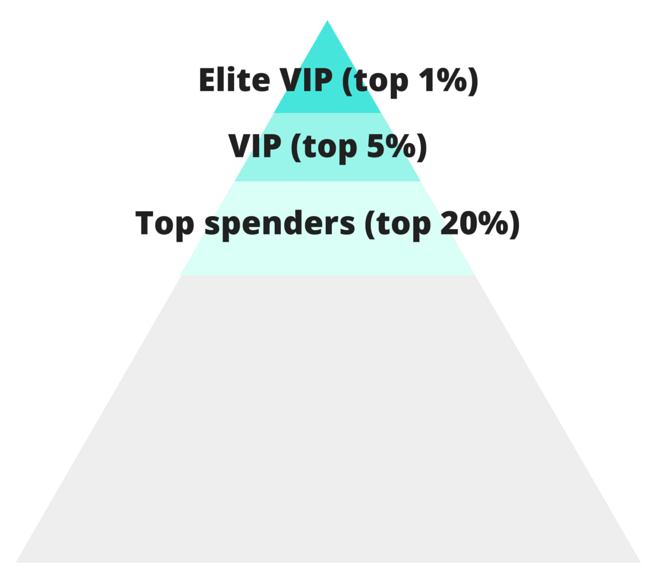 You may also wish to segment further, for example calling your top 20% ‘top spenders’ and your top 1% ‘elite VIPs’. This may come in handy both for reporting on the health of your customer base, and also for targeting these groups with special campaigns (but more on that next week). Take note that this amount can change over time, so we advise reassessing the number annually or biannually. For some stores - particularly those that sell replenishable items, or have a relatively low AOV (high street fashion, for instance), including an element of frequency into your VIP category criteria may be advisable. For instance, you may consider someone to be a VIP if they have a CLV of over £300 AND have made more than two purchases. Note: some retailers find it useful to keep a separate list of single-purchase customers who spend enough to reach VIP status in a single order, as paying these big-spenders special attention in order to keep them buying and spending more is still incredibly important. Likewise, if you’re a retailer that sells products with a long lifespan and a long selling cycle, such as furniture, then you might want to consider making a customer a VIP if they’ve bought from two different categories; for example, a bedside table as well as a bed. You may also want to factor how recently someone has made a purchase into your VIP category criteria. One more advanced way of defining your VIP category is by ranking, say, your top 5% of customers by CLV (1-50, for example, with a customer base of 1000), then do the same for frequency (number of orders) and the same for recency. You can then combine these lists and take the top 50 as your VIP customers, giving equal weight to each of these factors. Your VIP customers are probably your most sacred sources of revenue, so it’s paramount you know them by name, and have strategies in place for keeping them engaged with your brand. In our next post, we’ll be exploring tactics to retain this segment of your customer base and work to extract revenue from them. After all, nothing beats the VIP treatment.